image from Asia Travel Tips. I love how she has referred to this, this marriage thing, in terms of the language game. The formulations and the dissonances. Voiceless. Wordless. The spoken and the unspoken, the familiar mouth full to bursting, versus the unfamiliar, uncertain one that never utters a word. (That which is silent is the most uncanny and disconcerting.) The symbols of light and tradition...thou must have white veils and flowers, versus the symbols of darkness and mystery and even a touch of evil, which is the opposite of the proper, manifested marriage. I prefer the dark one, the dissonant, the secret, the dream. 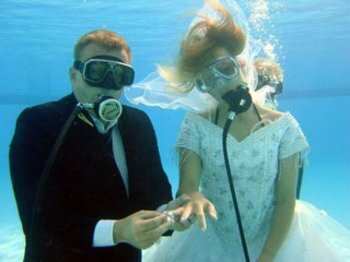 Under water. But what of preferences? What do they mean? How far should they be followed? And there is that damn should-word again. It seems to come back to that quite often. Can you have both at once? Can you be split in two as a person and still be some kind of unity, some kind of whole? Is being a unity even a sensible goal? 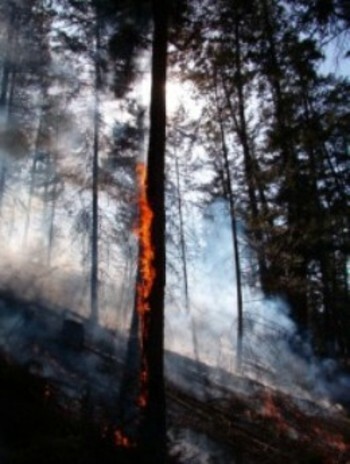 *Burning Tree* image by Davies Wildfire Management. Here's why I became enthralled with this quote: The trees described as having their entrails burnt out. I have seen trees like this, these gutted trees. Tree effigies of the trees they once were. The talk about unveiling the mysteries. I see you sweet mysteries. I unveil you one by one. It is always stunning to read how others have dealt with the unveiling. The talk of tragedy. The talk of the unveiling being a tragic event. Must it be tragic? Can't we play with it a bit? I admit. I like the idea of the tragic artist. The artist-mystic who burns herself for love of the mysteries. The snake up the spine so powerful that the mind spirals out of control. No boundaries. Nothing to hang onto. But what happens when there is no burning, or no destruction in the being-burnt? Bliss in tragedy? What if bliss and tragedy are so similar there's actually no line between them to tell them apart? When I have felt bliss I have also touched the icy, empty blaze of the tragic. Tragedy entered through blissfulness, at the point where air hits the gaping mouth that laughs at the ineffably full-feeling. Blissfulness gained at the grasping, tired hands of tragedy. It all works in circles. Round and round. And then the performance that is so magical people are afraid to clap. Such beauty, such annihilation, that something so human and mundane as clapping seems awkward and disruptive.